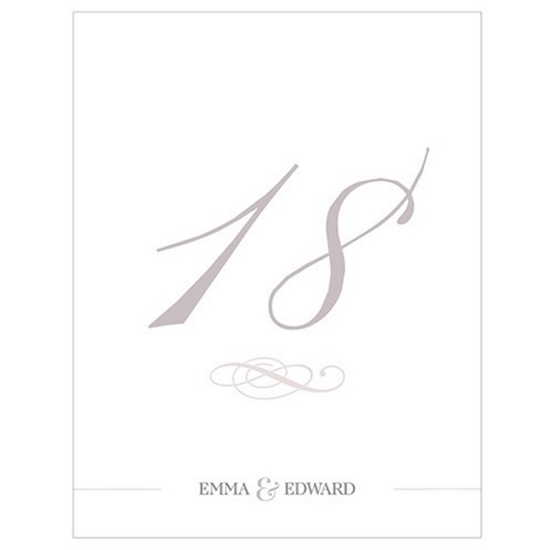 These table numbers feature a double-side card marked with flat print technology on an 80 lb. cover stock/215 gsm paper for durability. The numbers are sold in a set of 12 up to 96, and measure 3.875 inches in width and 5 inches in height. Printed table numbers might seem like a minuscule accessory in the whole suite of wedding accessories, but their importance is not be underestimated. Table numbers such as the Classic Table Numbers are a must have at a wedding ceremony, for their presence ensures proper designation of which table is for whom, and thus goes a long way towards ensuring optimum seating arrangements with minimal confusion.